Pets vector images collection with various dog designs. Images of a happy pit bull head, mad cartoon bulldog character and full body images of other dogs. 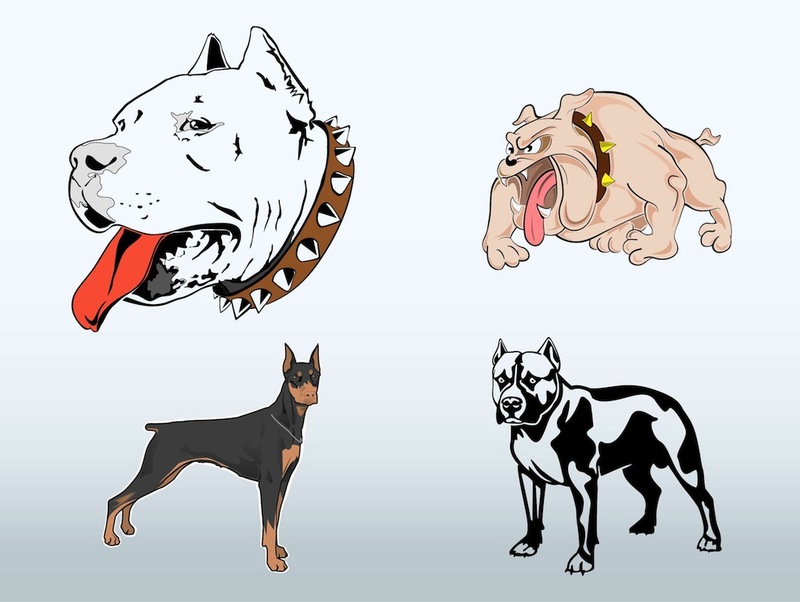 Different visual styles on the dog graphics. Free vector designs to create pets, domesticated animals, breeds of dogs, pedigree and veterinarian visuals. Tags: Animals, Breeds, Bulldog, Cartoon, Collars, Pedigree, Pets, Pit Bull.